Recently we enjoyed a little bit of a Twitter exchange regarding what constitutes "craft" in the world of craft distilling. This was spurned by a couple of articles - first, in The Atlantic, and then a response and a little more in-depth blog post at Liquidity Preference. There are a lot of terms being thrown around, like neutral grain spirits (NGS), non-distillery producers (NDPs), and even a new one to us, 'grain to glass'. The discussion revolves around how distilled spirits are made. At one end, a distillery can purchase in bulk high-proof (like, 190% ABV) alcohol from an industrial manufacturer, to be delivered to their door. They could then literally drop a cheese cloth full of botanicals like juniper berries and lemon peels, let it steep, add some water, bottle it and call it gin. 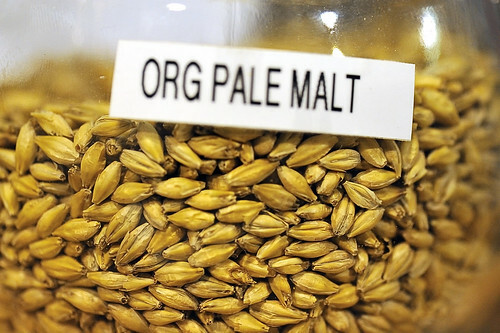 At the other, you can have a farm growing their own grains, malting, fermenting, and distilling their own spirits. And there's a bunch of options in between. Right now we probably run the gamut here in BC. At BC Distilled we have yet to try something from this province that we've thought was really poor quality, but of course we've tried things we like more or less, and there are definitely different grades of quality, as there is in any market. As we mentioned in a previous post, though, the BC Government has largely taken care of this for us, at least for now, in defining a craft distillery as one which uses 100% BC agricultural inputs, and ferments and distills their product on-site. As we mentioned in our Twitter exchange, we expect there are distilleries in BC who are not very happy with this definition, as they use NGS. We also know from personal experience that you can get decent quality goods produced from NGS spirits. We think that in some ways this very pure definition may constrain some creativity, or stop what might be some perfectly reasonable practices. For example, it might a good idea for a distillery to buy a batch of sub-par wine from down the road at their local BC winery, and use it to distill into a tasty vodka. Under the current rules we don't think that would be allowed unless the distillery was willing to give up the craft designation for that product (and in so doing hand the government its 163% markup). The 163% savings is also only available for on-site sales at the distillery, which will benefit urban producers, but isn't an incentive for something like a farm distillery unless it is still very close to an urban area. Finally, we're aware that while this is a great idea in theory, it may not be entirely practical in the current BC agricultural market -- it's just not designed to support small batch distilling yet. Our fledgeling industry is still finding it's feet, though. The recent changes from the government are a start, and if nothing else have got the discussion going and have clearly kickstarted the what we hope will become a craft distillery boom in British Columbia. We think more progressive changes are ultimately needed, but in the mean time as consumers we look forward to seeing how this plays out.